There’s no doubt the opportunity is there. In fact, Generation X alone watches 1.5 billion videos on YouTube every single day. And the average viewer watches more than an hour of video daily just on their mobile devices. With numbers like that, it can be frustrating to see your own YouTube view counts remain painfully low. That’s why we’ve created this simple guide to help you grow your audience. Let’s get started. People who are already watching and enjoying your videos are a great source of potential views for future content. Once they subscribe, they can choose to be notified every time you upload new content. This will bring in instant views every time you release a new video. The simplest way to get viewers to subscribe is to, well, ask them to subscribe. Add a call to action at the end of your video asking users to subscribe to your channel. And include a link in your video description that makes it easy for them to do so. That’s what YouTube creator Graham Cochrane told Hootsuite in an extensive interview outlining how he racked up 23 million views. Delivering the content your audience wants to see is a surefire way to build viewer loyalty and keep people coming back for more. Cochrane gets ideas for new content by saving interesting comments from his social channels and website. When that list of ideas runs out, he asks his customers and fans what they want to see more of. Then he makes the videos they’re asking for. Simple, right? And highly effective. Those top-performing brands understand the power of auto-play. It’s much harder to pull yourself out of the online video rabbit hole when the videos just keep playing. You might not want to watch another video enough to click play, but do you want to stop watching enough to hit stop? If the content is great, you’re probably going to keep watching. Navigate to the first video you want to include in the playlist. Select an existing playlist, or choose Create a new playlist (and then name that playlist). Choose your playlist’s privacy setting. Since you’re aiming for YouTube views, you’ll likely want to keep it Public. Cards and end screens are both opportunities to direct a viewer to your other videos, encouraging them to watch more. And watermarks offer an opportunity to promote your channel. Cards function like pop-ups that appear during the video itself, while an end screen appears (you guessed it) at the end of the video. Watermarks appear at the same time in all videos, in the bottom right corner. Check out this video for an overview of how to add cards to your YouTube videos. Since your focus is getting more YouTube views, you’ll likely want to use a channel card to link to your channel. Or, you could use a video or playlist card to point viewers to your other videos and playlists (rather than a poll card, as in the example video). But keep in mind that the poll card feature could be a great way to ask viewers what they want to see from you, as described in tip number 2. From your YouTube account, click the Creator Studio link under your account icon. Click Video Manager > Videos. Click Edit on the video you want to add the end screen to, then click End screen. Choose whether to copy an existing end screen, create one using a YouTube template, or create one from scratch using the Add element option. When you’re happy with your selections, click Save. This video describes how to add a watermark with a channel subscribe function to your videos. Keep in mind that watermarks are an all-or-nothing feature. They either appear on all your videos, or none of them—you can’t pick and choose. We cover these strategies in more detail in our post on smart YouTube hacks. It’s counterintuitive to think that focusing on a smaller potential audience can get you more YouTube views. But that’s exactly what Graham Cochrane does. Those who end up digging his content stick around and become loyal followers who are eager to watch each new video he creates. Those who don’t move on to something that interests them more—but they were not the right fit for his brand anyway. It’s more valuable to get repeat views from loyal fans who are likely to turn into customers than a bunch of one-offs from people who never return. To get a sense of what kind of audience you’re likely to find on YouTube, check out our post on YouTube statistics that matter to marketers. Before people can watch your videos, they’ve got to find them. That means your SEO strategies have got to be up to scratch. When writing titles and descriptions, Cochrane recommends typing potential keywords into the search bar to see what comes up in the autocomplete. You might get ideas for related search terms you might not have thought of. If they’re relevant to the video you’ve created, include them when appropriate. If not, you may have uncovered an idea for an entirely new video. You can also click on the auto-completed search terms to see what kinds of videos (and how many) already exist for those keywords to get a sense of the competition. Google Trends and the Google Adwords Keyword Planner will also help you uncover powerful keywords to include in your title and description. But don’t include keywords that are not relevant to your video—YouTube will penalize you for doing so. You can also include up to 15 hashtags in your video description. 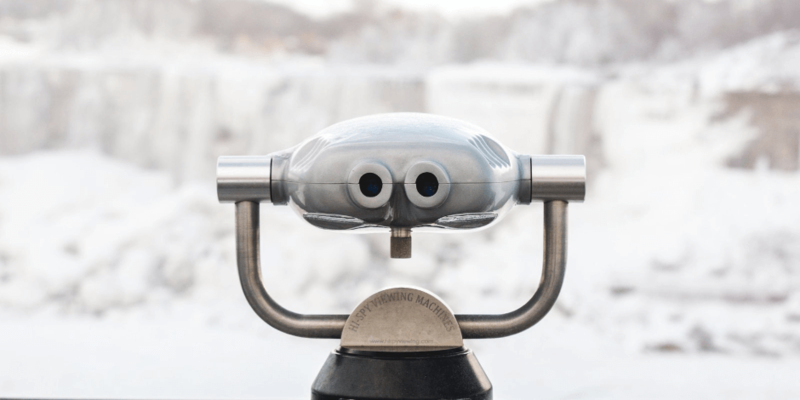 While you need to use keywords to help your videos appear in search results, you also need to appeal to the real humans who you want to watch your videos. YouTube says, “Titles that perform best are often those that tell a story.” If you focus too heavily on appealing to the search bots, you’ll lose opportunities to offer compelling reasons why people should actually watch your video—which, after all, is the point. Keep titles to around 60 characters to ensure they are fully displayed in search results. We get into more details of how to optimize your YouTube channel and videos for SEO in our post on how to promote your YouTube channel. People don’t read online—they scan. And when they’re scanning through a list of videos to watch, they’re more likely to take a closer look at a video with a compelling thumbnail image. Rather than choosing one of the auto-generated thumbnails, you can upload a custom image to entice potential viewers. Ninety percent of the top-performing videos on YouTube use them. As YouTube says in their Content Academy, “Thumbnails require an art director’s eye for branding, and shouldn’t be an afterthought.” In fact, they recommend thinking about your thumbnail before you even start filming your video. This will ensure you capture the footage you need for a powerful thumbnail once it’s time to start editing. Your custom thumbnail should be 1280 x 720 pixels and less than 2 MB in size, in JPG, .GIF, .BMP, or .PNG format. This video explains how to create a custom thumbnail and add it to your video. If you haven’t already verified your YouTube account, you’ll need to do so before you can access the custom thumbnail feature. Here’s how to verify your account. Optimizing your YouTube channel can be as important as optimizing individual videos. To access all the optimization features, you’ll need to verify your account, as described in tip number 7. Connect your other social channels to your YouTube account to help provide credibility. The profile picture for your channel, this should be compelling and accurately portray your brand promise and be easily identifiable. It is associated with your channel across both Google and YouTube. You should upload an 800 x 800 image that also looks great at 98 x 98 pixels. Your banner art should be at least 2560 x 1440 pixels. You can find a template to help you design your banner art to look great on all platforms in YouTube’s Creator Academy. This appears on your channel’s About tab, or when users place their mouse over your channel icon on any watch page. You have up to 1,000 characters to create a compelling brand promise for your YouTube channel, letting viewers know why they should care about the videos you’re posting, what you have to offer, and how often they can expect to see new content. A channel trailer is a short video shown to all new visitors to your channel page. It’s a great way to show what kind of content you create, highlight some of the benefits you provide, and give viewers a chance to subscribe. You can learn all about creating an effective channel trailer in the YouTube Creator Academy. YouTube describes its algorithm as a “search and discovery system.” It determines which videos people see in their search results, the suggested videos and trending streams, on the home page, under the viewer’s subscriptions, and through notifications viewers have created. But “watch time” is not as simple as it sounds. Yes, it includes the actual time people spend watching your videos. But channels also earn “watch time credits” for driving viewers to watch videos on other channels. In short, the algorithm is more likely to surface your videos when people spend more time watching your videos, and when they spend more time watching videos by other users that you refer them to. But, of course, there’s more to it than that. Learn more in our guide to using the YouTube algorithm to get more views. Is YouTube actually a social network? If you want to maximize your YouTube views, you’ve got to treat it like one. Respond to viewer comments, especially if someone asks a question. This shows that you’re engaged with your audience and will help to establish your credibility as an expert in your niche. Since you’re already mining your comments to look for new video ideas (remember tip number 2? ), it should be easy to take the time to respond while you’re there. You should also seek out other YouTube channels within your niche. Subscribe to these channels and comment on their videos. Don’t be afraid to promote their videos if you think they could be valuable to your viewers (remember the “watch time credits” algorithm boost from tip number 9). If you engage honestly and authentically, it will be much easier to find and be accepted by the YouTube communities that are already home to passionate and dedicated viewers and potential new fans. They key to success with any marketing effort is to test, track, and make adjustments to your strategy as you learn what works best. YouTube analytics will tell you which videos perform best, how engaged your viewers are, and even the demographics of the audience. This information can help you hone your strategy to do more of what works and less of what doesn’t, while tweaking your tone and style to better speak to the audience that is already connecting with your content. We get into more detail on how to use YouTube Analytics in our post on YouTube marketing. Okay, this one is a bit of a no-brainer. If you have an existing audience on other social channels, let them know when you post a new video to YouTube. For example, try creating a teaser of your video to show on Instagram, directing users to your YouTube channel (through a link in your bio) for the full video. And think beyond social channels. Try embedding YouTube videos on relevant pages of your website, or in blog posts created to accompany and showcase the video content. One guaranteed way to get more YouTube views is to pay for them. YouTube ads expose your content to viewers who would not otherwise see it. And you can use the extensive targeting options to make sure you’re getting yourself in front of the right crowd. 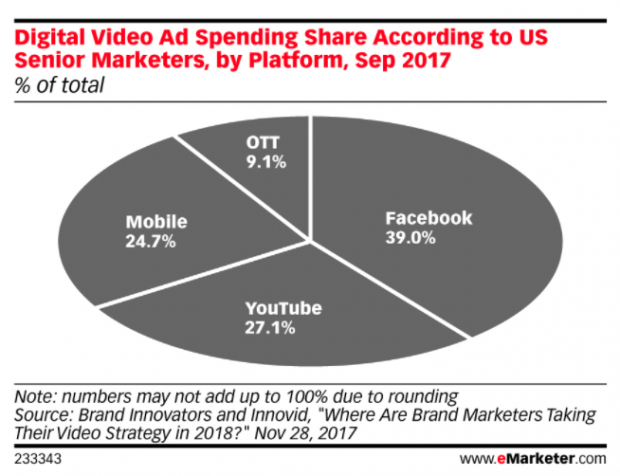 Other marketers already understand the power of YouTube ads: YouTube gets the second-highest percentage of U.S. digital video ad spend, right after Facebook, according to U.S. senior marketers. The great news is that paying for ads can increase organic reach as well. YouTube’s own figures show that people who watch a YouTube TrueView ad to completion are “23 [times] more likely to visit or subscribe to a brand channel, watch more by that brand, or share the brand video.” Even if they didn’t watch the ad to completion, they were still 10 times more likely to engage in these actions. Get all the details on how to run your first YouTube ad campaign in our post on YouTube advertising. With all of these tips, you’re well positioned to start bringing in more YouTube views. But keep in mind that none of these strategies will be effective in helping you build your YouTube presence unless you’re producing great content. Put in the time and effort to create videos that really speak to your audience and niche, and you’ll be well your way. Grow your YouTube audience faster with Hootsuite. It’s simple to manage and schedule YouTube videos as well as quickly publish your videos to Facebook, Instagram, and Twitter—all from one dashboard. Try it free today.